On this second installment of Songs That Speak Science (STSS), I’d like to share with you a song that speaks to how our body’s electrical current plays a role in transmiting emotions. 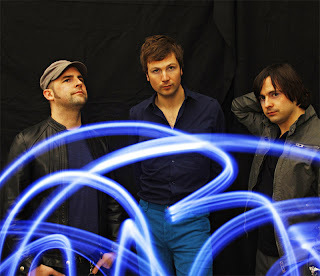 Bell X1‘s “How Your Heart is Wired” from their latest album Blue Lights on the Runway. Ever since the album traveled across my ears, the Irish quartet convinced me that they not only now how to woo the listener with great lyricism and songwriting, inspired by Brian Eno atmospherics and traditional folk songs. But they also know how to break down the emotional process of listening to songs, and sing directly to the heart of what a song can do to our emotions. But what purpose does our heart really serve? In about 3-4 minutes, Bell X1 nailed both the emotional and physiological aspects of what goes on in our bodies between our heart and our brain. They might be using a metaphor here, but either way, the song lets us peer into the impact our heart has on the rest of the emotional process that happens instantly and ultimately culminates in our brains. Let’s take a quick look at the lyrics so I can show you what I mean. Here’s a section of the lyrics(second verse/chorus) that caught my attention the first time I heard it. I especially dialed in when lead singer Paul Noonan builds the emotion by quivering back and forth over “the red one, blue one” lyrics. In addition to the gradual build or soft, tender and sincere melody, its at this point in the song becomes a Song That Speaks Science. but there’s a dangerous ticking. Raking over the embers and what I come across? Noonan may confess that he doesn’t know how subject of the song’s heart is wired, but he certainly know’s what he’s doing with the rest of us. What songs have spoken to you lately?